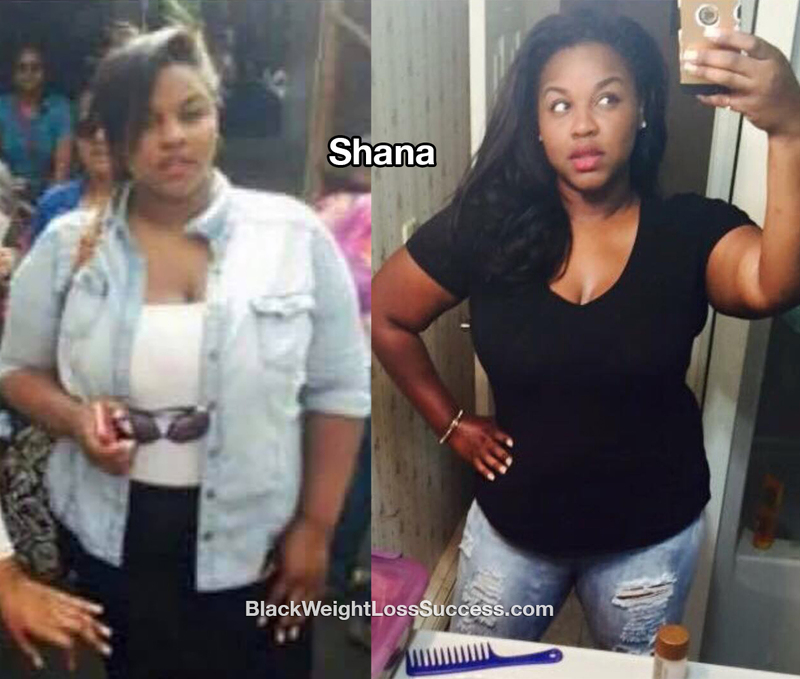 Shana lost 48 pounds. After trying various methods for losing pounds, she decided that it was time to get a trainer and commit to living a healthy lifestyle. Check out her story. Me, my life, my health and what I wanted for the future. I wasn’t happy with myself. I’ve done every diet, every pill… and I just wanted to give up. That is, until I met a man named Terry Starks. He was like a father to me from all the way across the world, lol, but God connected us. When my trainer asked me whether I wanted to live or die? I saw my life laid out right before my eyes. That is when I knew that I didn’t want to be another statistic. I ate more. That’s right! More vegetables, no bread, no soda and no bad carbs. I ate every three hours and had 4-5 meals each day. I worked out every morning on empty stomach for 3o minutes (I drank water, of course) and I did light cardio for hour at night. I had fun working out. I didn’t just go to gym. I also walked at the park with friends. I started my journey this year at 283 pounds. My height is 5’6″. In 5 weeks, I was down to 235 pounds and I’m still losing weight today. All through the Grace of God. The key is enjoying the journey and not rushing it. We all want to keep the weight off. 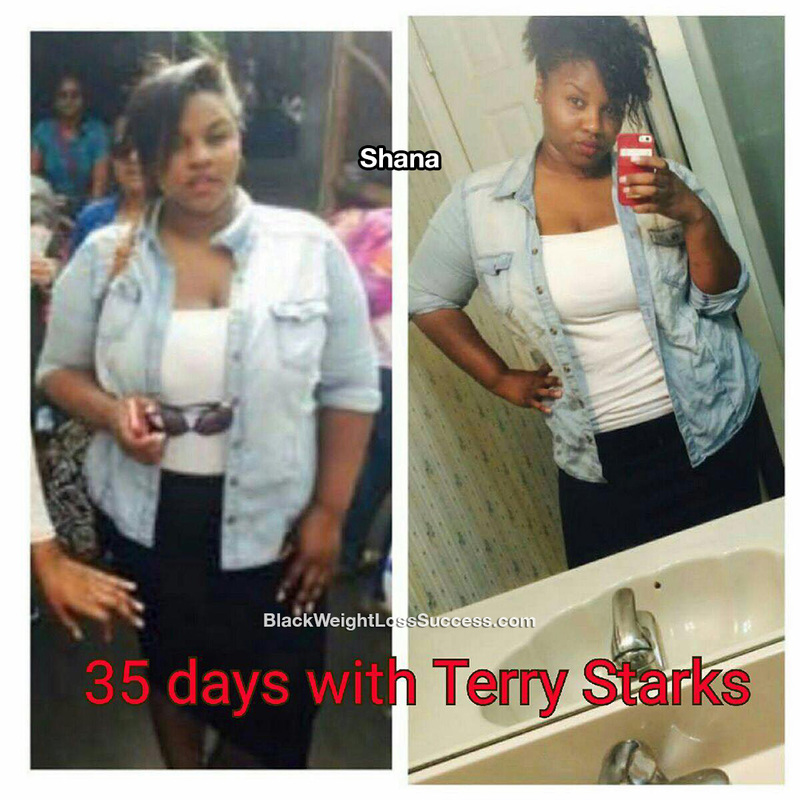 I worked with Terry Starks… the best nutrionist, trainer and pro bodybuilder in the world. I want to thank him for being by my side every day. It was not easy. I never thought that I could do it and see results. I didn’t have weight loss surgery. I always thought I’ll be the one to die on the table and that was an excuse for not considering it as an option. For those who do have surgery, I think that’s fine but I wanted to do this on my own. The biggest lesson I learned is not to compare your journey to other people’s journeys. I also learned to focus on small, realistic goals. You have to enjoy yourself and take it one day at time. I have one life to live, and I want to live it. Keep going and don’t give up. Your deserve a better and healthier life. There is no easy way. It’s about loving the process and the journey. There is nothing like being rewarded from your hard labor.